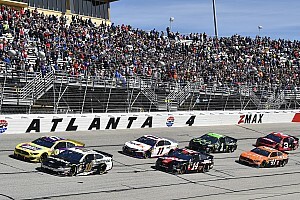 The United States Auto Club (USAC) is finally entrusting its competition department with a man who truly understands racing and shares the same passion for the sport that all competitors do. 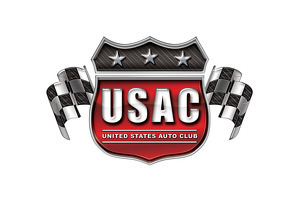 The sanctioning body announced that Davey Hamilton will take on the newly created role as executive director of USAC Racing, reporting directly to USAC president and CEO Kevin Miller. Hamilton, 52, whose roots lie in open wheel competition. He was a mainstay competitor in the Indy Racing League from its inception in 1996 and continued through to 2001, where a massive accident at Texas Motor Speedway nearly made hay of his legs and feet. With tons of rehab, Hamilton recovered sufficiently to rejoin what’s now known as INDYCAR, racing through the end of 2011 before the new DW12 chassis came into use. In the later years, he mostly drove at Indianapolis Motor Speedway and Hamilton has worked with a number of well known teams, including Dreyer & Reinbold, A.J. Foyt Racing, Galles Racing, Sam Schmidt Motorsports, Vision Racing and de Ferran Dragon Racing. When not in the car he’s been behind a microphone, working with the IndyCar Radio Network. Hamilton’s passion for the sport even saw him compete in Stadium Super Trucks series in 2014; he debuted at the Firestone Grand Prix of St. Petersburg in 2014 where he placed eighth in the first race and ninth in the second, a smile on his face as he exitted! 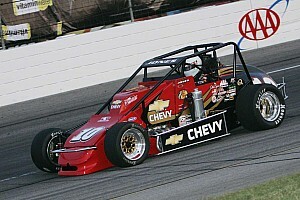 USAC’s primary focus is on its circle track division for Silver Crown, Sprint Car and Midget Racing, arenas where Hamilton has vast experience. As a former USAC pavement racer and with his breadth of experience with INDYCAR, he can lead USAC’s core groups forward. “USAC is a storied brand in motorsports and my roots were greatly influenced from the short tracks of America,” Hamilton stated. “I am excited to be part of a team that is so passionate and dedicated to taking our motorsport program to the next generation of racing fans. I’ve been a driver, car owners, promoter and series owner, which has offered me a great perspective for this new challenge,” he said.